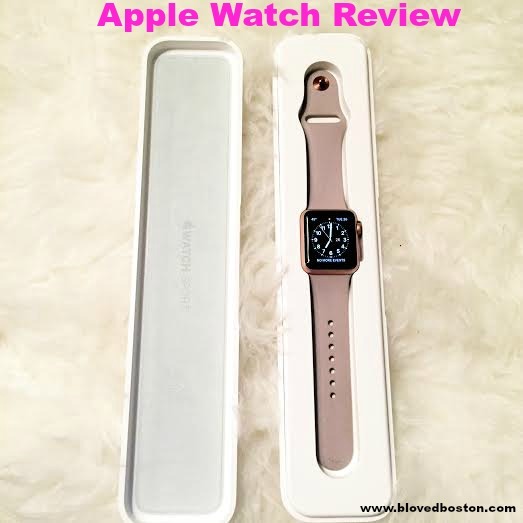 When the Apple Watch first came out I wasn't really sure I would need something as high tech as this watch...then they released the Rose Gold Aluminum Case with Lavender Sport Band and I immediately wanted to try it on! I went to the Apple Store and was fitted to see how it would look on my wrist - I shouldn't have been surprised with how sleek the watch was and how much I loved it immediately! I will be the first to admit that I am not using it to it's full capabilities, but from the month that I've had the watch, I've already been more comfortable wearing it and changing out the bands - sharing the ones I've picked up from Amazon at the end of the post! As with any Apple product the set up is extremely easy! You actually do most of the programming on your phone. You can decide the layout of how you want the apps to appear and there is even a way to make sure all your favorite ones are grouped together so that they are easy to get to. Gary is the master of this - so he's basically been coerced with dinners to fix mine up! All the apps I have on my watch are below! You can customize the face of your watch to be pretty much anything - an actual watch face that shows weather or if there is a full moon (not that I need to know that) or you can have a picture background and plenty of other things too. Without a doubt I use the activity app the most! I keep an eye out on how many steps I've taken, if I've hit my move goal for the day and also my standing goal - if you are sitting idle too much then it'll give you a little tap on the wrist to let you know it's time to stand! Perfect for those of us that sit for work A LOT! These are actually my stats from this past Monday taken after a lunch workout -didn't want anyone to see me on my lazy day! The workout app lets me pick from indoor cycle (which no other fitness tracker I've used has done), running, walking, elliptical, rower, step climber & other (which I use for Tabata's and at home workouts). You also don't need to have your phone on you to track information - it will auto connect when it pairs again - I don't normally workout with my phone! I use the transit app most in the morning when I'm leaving the house - mostly because I don't want to wait outside when it's too cold. This is great for letting me know when the next three trains at my stop are expected - so if I just missed one, I look at the app and know that I have X amount of minutes before I need to be outside! It's also good because it shows how close Ubers are - so at night if I don't want to wait for the train, I can just do that! 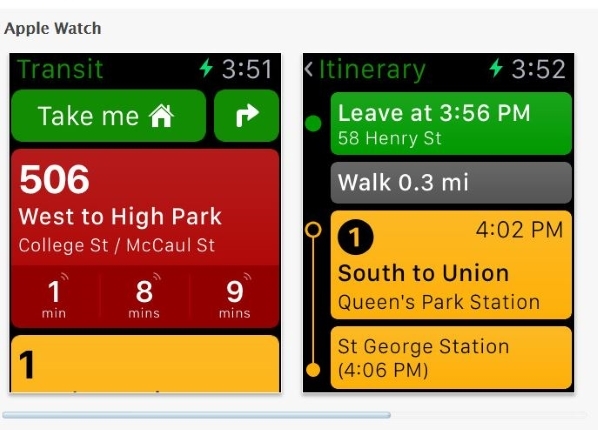 Speaking of - I can actually get an Uber from my watch too! via You can set up favorites that are the same as on your phone, but you can also add people that have an Apple Watch so that you can send them your heartbeat (a lot harder to master than expected) sketches & little taps throughout the day. I mostly just ping Gary, but we've come up with a little code for "I love you, or I'm thinking of you" - cheesy I know! With every other fit watch/product I've used I was always missing something...whether it was the time, accurately counting steps/calories or recording workouts correctly - I don't have that issue with the apple watch. It's sleek enough that it matches every outfit I wear - except when I'm dressing for a special event like a wedding, but I don't normally wear a watch anyway! I also really love that it's tied to your phone, so this means that if it's off your wrist and isn't near your phone there is no way to get into it (at least that's what I've been told). It's also pin enabled so the first time you put it on during the day you enter your pin and it's unlocked - but if at any point during the day you take it off your pin needs to be re-entered. I also really enjoy being able to answer calls from my watch when I'm cooking or doing other things around the house without having to be attached to my phone. You can also send quick texts back to people or even record the text and send it as a voice message or text. I no longer keep my phone on the table while I'm at dinner or out with people because the watch lets me know if I have a text or call coming - I can discreetly look at my watch and silence if needed. I actually keep it on silent mode during the day since I'm in and out of meetings - that way I'm not distracting other people. Band 1//Band 2//Band 3//Band 4 Before getting the watch, I was scared that I would be stuck with the band it came with, but it's interchangeable and there are so many sellers of bands on Amazon that you can get an incredible caliber band for a fraction of what they cost at Apple. I've purchased two other bands so far and another for Gary! I'm incredibly impressed with the quality. Overall I'm extremely happy that I have the watch. When I think about past watches that cost close to this amount, all they did was tell time, but with this I'm getting so much more. Don't get me wrong, I'm sure I'll still wear regular watches once in a while, but for now, I'm extremely happy with the Apple Watch. This is not a sponsored post, this was a Christmas gift! Do you like fitness trackers? What type do you have? I love the look of the rose gold! It looks so pretty, and much more feminine. It sounds like the watch is pretty neat...definitely good to know! Love the bands you have gotten, too. I didn't realize they were interchangeable so that is really awesome. I am so behind on technology, that if I bought one of these my friends would be in shock. It took me forever to switch from a Blackberry to an iPhone.. and I only did it because I had no BBM friends left! My oldest son has the Apple Watch and is so in love!!! As beautiful as that lavender band is, maybe mom needs one too!! Have a beautiful day!! I'm a huge fan of the rose gold, too! My friend got one last summer and wore it to a conference we had to attend in Atlanta. It was so funny because we would be in the middle of a speaker and her watch would buzz telling her it was time to stand up! I thought that feature was really neat. I would love this for the fitness tracker alone! I usually have to bring my big ole 6 plus with me because I love the app Runkeeper. I also love that mesh band. Thank you for sharing this ! I have wanted one but haven't bit and purchased yet. Love all that it does. Wow that looks awesome! I have been wondering if they were worth all the hype, and it looks like they are pretty neat! Thanks for sharing! 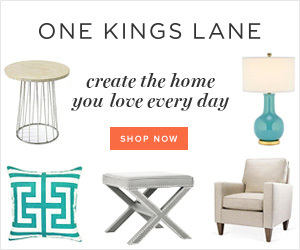 This post was so helpful-my hubby has been wanting one for awhile now & after this post I see why! So neat! The Apple Watch looks so cool! A friend if mine has it abd he showed me some of the features. I could definitely see myself using it! I’ve been on the fence whether the apple watch was something I’d use too, but I love all of the features that you pointed out! Plus their bands are so cute now! 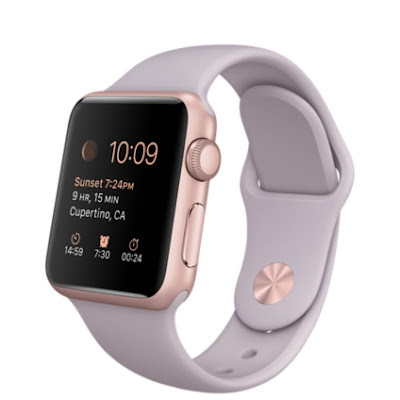 I have never seen the rose gold one with the lavender band! How adorable is that?! I haven't really been sold on the watch but this post makes me want one! When I first saw the watch come out, it didn't have the best reviews. People were complaining about this and that but I am sure that by now all the kinks have been worked out. I love the way the watch looks compared to say my fitbit charge hr. How do you like this compared to the fitness tracker you used to have? Didn't you have one of the fashionable ones this past year? I agree that for the price of the apple watch you are getting a whole lot more than what you would with an MK or Kate Spade watch!!! I am trying to decide if I want it or the new fitbit watch that is coming out later this year. So many technology decisions!!!! I love all the bands you picked!!! Sooo, I first read this and saw Apple Watch giveaway and as like DAMN B, you go girl. Ooops ;)! Glad it is working for you, all the bands are soooooo pretty. 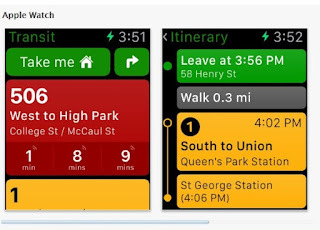 That transit app would save my life in NY! Love the rose gold finish, too! 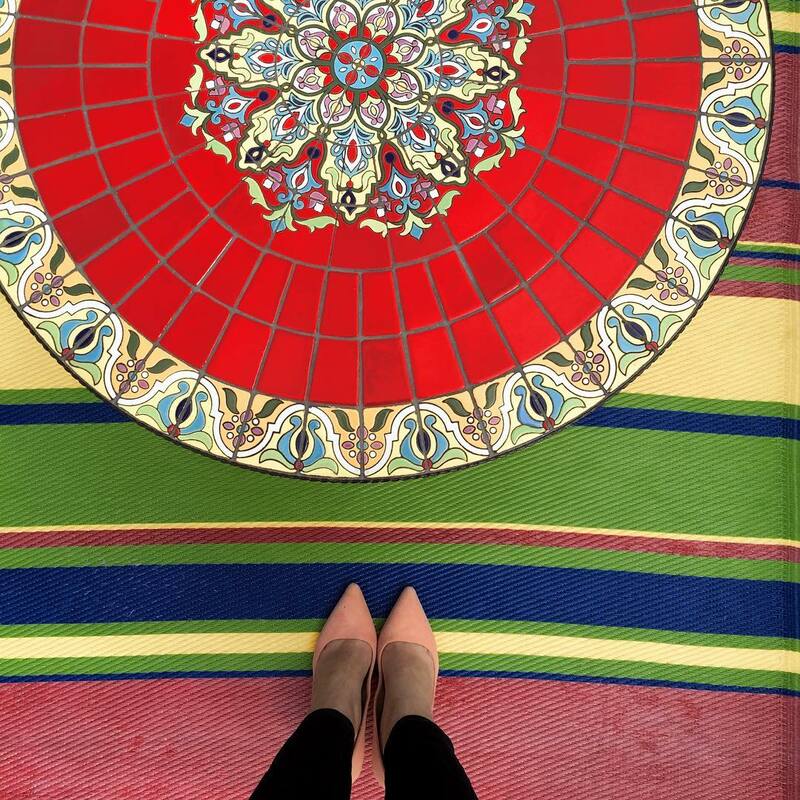 Love the review, Biana! I have been debating getting one for some time now... Sounds like a really cool watch and you did a great job going over the features! Hope you have a wonderful day! I love you have a little 'love language' you can send to each other - that's precious. I've been debating getting one but I'm so close to giving in :) do you think the step tracker is accurate? I've heard mixed reviews! I love the color you chose! Thanks for the review. I haven't given much thought or consideration, but I do love all the design choices. I have gone back and forth so much on getting on! I think the fact there are so many affordable bands now may be the kicker to push me over the edge! I love the rose gold! I was like you/ not sure about it when it came out, but it looks so cool. The fitness one is clutch! I haven't heard much about the Apple Watch until now, and I never realized how much it could do! It sounds so cool...especially that you can read texts and see calls coming in. I love the rose gold! My friend has one and loves it! I love that it comes with so many band options!! I've had mine for three months now and after the initial shock of "how do I work this thing", I'm really starting to love it. I wish it would connect to wi-fi when my phone's not around. That would be a nice bonus! good review chica! i can't wait for v2 to come out this fall and that's what i've been waiting for. but it's hard bc i really want one! Such a cool watch! When it came out at first I was like "why do we need this?" but it seems like it's a really great sport watch. Plus I like that it has so many features and isn't just one fitness tracker. Glad that you're loving it and found some cool bands too! Awesome review. My friend has one and I had so much fun playing with it - is so cool! The fitness tracker alone looks worth it! 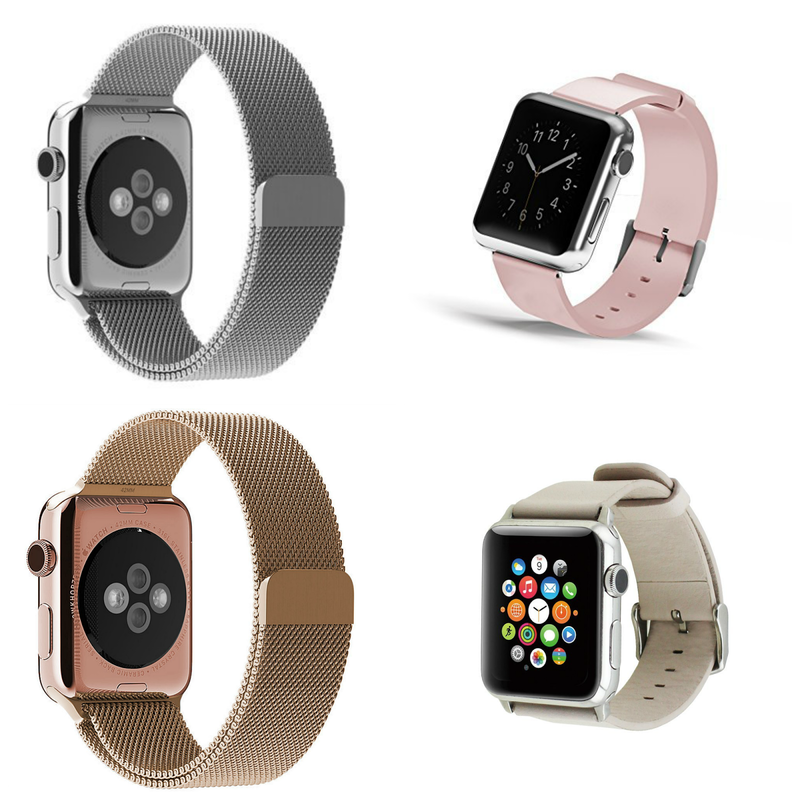 Okay - I have been on the fence about the Apple Watch, but now I definitely want one! And the rose gold is so pretty! I was kind of hesitant about the Apple Watch at first too but after your review it does seem a lot more useful than I thought! Love that you can change the bands too! Okay I'm so torn, because I really want to get an all-purpose watch (although it doesn't need to be used for running, though I'd like a heart rate monitor!) that I can wear during the day and to meetings but also not worry about sweating in, since I want to wear it in yoga when I'm teaching too. I keep going back and forth about what to get but this is the most useful Apple Watch review I've read yet, so thank you for sharing it! Your watch looks gorgeous!!! Far more feminine than the others I've seen. I would love to have an apple watch, but they're pricey, and I'm not a big fan of the squarish shape, I'd love to have a round face. How do you feel on its tracking accuracy? My MIL got Kyle and I trackers for the arms, and the only reason why I wear it is because of the notifications, but usually it's about 1000-2000 steps off at the end of the day compared to my fitbit. So I don't rely on it for accuracy. Also do you think your watch is easily matched with other accesories? The Apple Watch is something that I've been wanting to buy since it was launched, but, it came a year later in India and the price is way too high!I really love this review and it makes me want to run to the nearest Apple store and just buy one already. I would love the fitness app the mose, I'm sure. I am seriously obsessed with the apple watch! I want one so bad! I love reading these reviews because it really helps! I love that you can change the bands so fab! Ooh I love the rose gold color!! One of my friends just got the Apple Watch and she absolutely loves it! I love love love the your band picks - so cute! 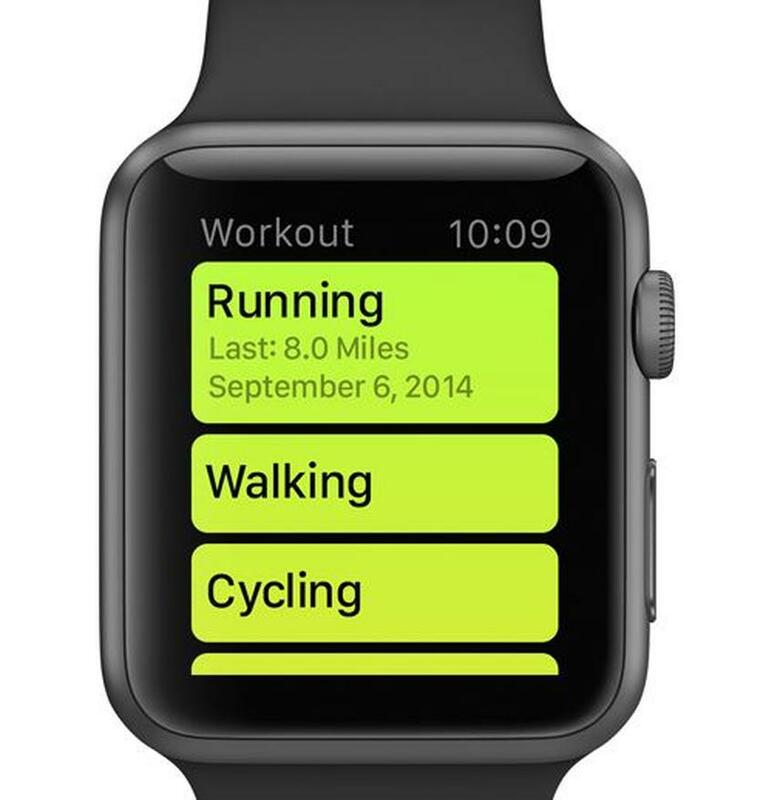 I love how this tracks fitness levels - I would def be using that app the most as well! Ooh, super cute!! 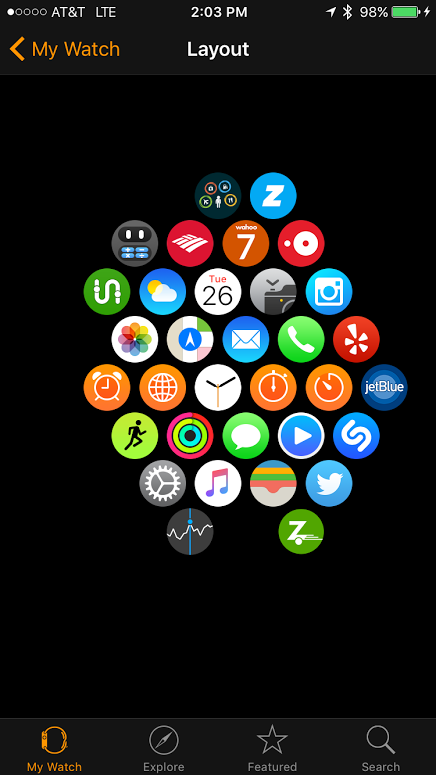 I never really knew what the Apple Watch did until now (Can you tell I'm not an early adopter!?). I love the lavender band and would probably use the fitness tracker part the most. Very cool! Okay, I thought I didn't want one, but you are making me WANT one now! The rose gold and the lavender band are so sleek and girly! I love that you and Gary have little codes, such a sweet thing! Ahhh, maybe I'll ask for this for my birthday, it has SO many features! first off, i love the color of your watch. super feminine and not so clunky looking. i didn't realize all the apps and things you could do with it. don't tempt me to get one!! You are quickly changing my mind on the Apple Watch, love all the apps that you can get and the rose gold looks so feminine, we just bought the rose gold macbook and I am in LOVE!! Might be adding this watch to my list of must haves. I love your watch! That color is stunning. I have thought about getting one but have always been on the fens about it. I think you may have just convinced me to get one. I love all of the fitness capabilities! And you're right, it goes with almost everything! I have been dying to read a good review like this on the Apple watch! I got a fitbit for Christmas and have been less than pleased. I had to return the first one because it wouldn't record my exercise. Yep, after working out 1hr every day for three weeks it still said I only had worked out 6 minutes once. FRUSTRATING. Hoping the second one works better! But Apple always kills it! Gosh isn't that technology just amazing! I love how customized you can make it. The fitness app is my favorite part. Chuck got one, but it's not living up to the hype he built around it he says. He really likes it but not enough for the money he spent. He got a great deal on it but is considering selling his...haha. I like to read the reviews though! Great review, Biana! I have really been wanting the Apple Watch but keep telling myself I don't NEED it haha Love the rose gold with the lavender band!! I've thought about getting the Apple Watch, but wasn't sure if I'd use enough of the features. The fitness tracking alone would be awesome. I also love that it helps get a separation between you and your phone - something I need to work on! 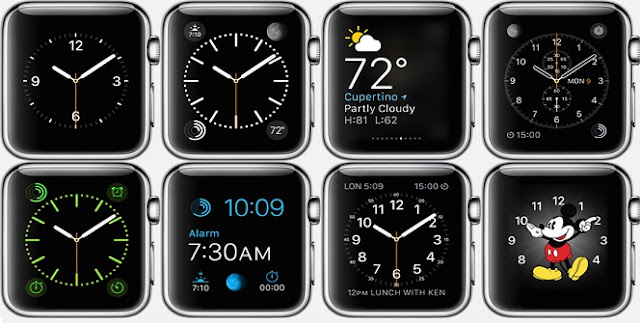 If I ever get an iPhone, it will pretty much be just because I want an Apple Watch. I love yours and the rose gold is so pretty! It has so many features, and I could definitely see myself using it so often. I'm so happy to read this! My husband and I have been considering to purchase one for each of us but wasn't sure if we would like it. I'll show him this post and it definitely will help us makeup our mind. this is a super informative and detailed review B! love it. i never really thought about one of these, but you make a lot of great points - like not checking your phone at dinner is HUGE. sometimes the girls and i go to dinner and are out for like 5 hours, and KC texts and asks if i'm okay, but i never check my phone so then he worries even more. so this would be awesome. and also, you guys aren't cheesy, totally adorable! I didn't think I needed something so fancy when it first came out but I am slowly starting to want one now. I have a Garmin Vivo fit, I loved it but stopped wearing it because it was so bulky. I love all of the bands you got, so cute! Biana, you MUST stop being an enabler!! I've been thinking that I didn't really need one of these, but now you're making me want one soooo bad!! I adore all Apple products. My iPhone is seriously an extension of my arm! I love the color combo you picked out. Not a fan of the original ones that came out in terms of style. I didn't really see the need to get one before reading your post but now I want one. I like that it gives you that tap to do activity because I'm at a desk job and also that you can answer calls from the watch. Very cool! The watches are so beautifully designed, I just always felt that i never needed one while I already have a cell phone but you gave some great ideas that makes me want to go out and get one. 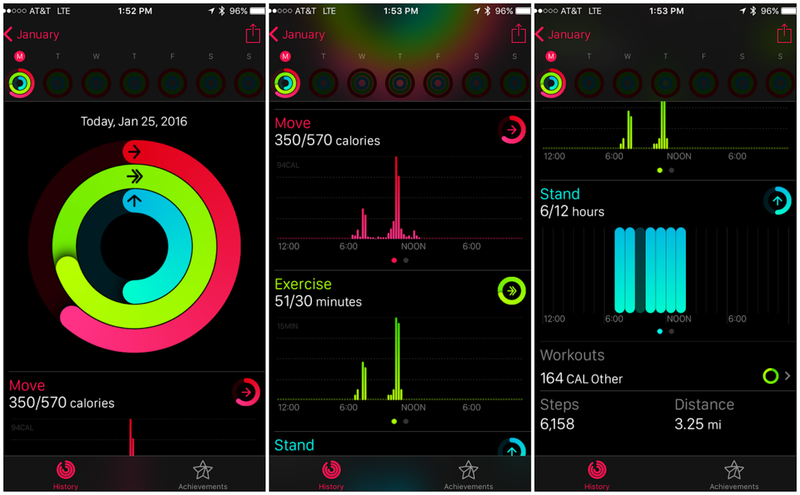 I got my Apple Watch last week, and I've loved being able to use it as a fitness tracker too! My FitBit and Apple Watch are still about 1,000 steps off from each other, but I love that it lets me know when I need to get up and walk. 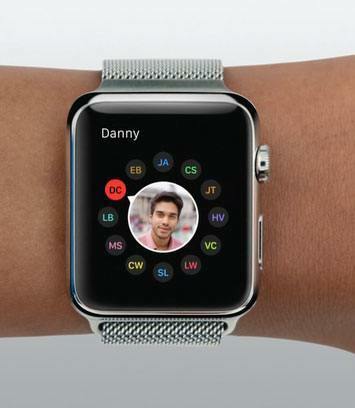 Have you sent your heartbeat to somebody else that has an Apple Watch yet? That's so much fun! What a fabulous Christmas gift that you received! I'm glad to hear that you're loving it - I'm not sure if I'll take the plunge with it anytime soon, but I do like that you're enjoying the fitness tracker aspect of it. That's probably what I would use it for most. Also, love all the bands that you've purchased! Ahh such a great review-- I had no idea they came with such pretty bands. I feel like it's something I would never seek out, but if I got one I'm sure I would be obsessed with it and wonder how I lived without it. The fitness app looks awesome! Great review! I still don't know if I'm sold on getting an Apple watch for myself (I don't wear a watch, period) but I love the rose gold. It's so pretty! I simply love the rose gold version, so feminine and sleek! I love the idea of answering calls and text messages without needing your phone. I think it's so rude to have my cell phone out on the table when dining out, but sometimes I'm expecting a call or message and don't want to have to keep rummaging through my phone, so I have no choice. This is definitely a much more convenient option! 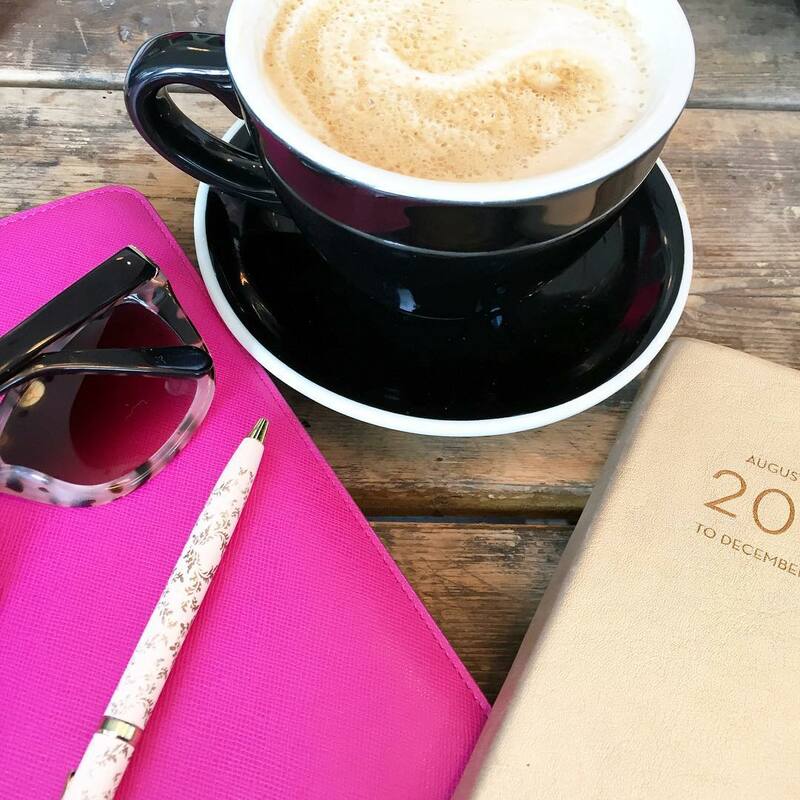 Such a great review, girlie, thanks for sharing your thoughts and I hope you're having an amazing day so far! Knowing that there are so many band options is way more appealing. One of my friends just had it with a basic black band I think and I did not like it at all. Love that it has a fitness tracker. I'd totally use that all the time. I have a polar loop fitness tracker & love it because it's waterproof! I had been wondering about the features of the Apple watch so thanks so much for sharing! I got the same one and I am so happy with it! It's so versatile and I still haven't changed out the band, but now I have to get more!! It took me forever to learn my way through my android phone. It is a useful gadget but I am tired already of learning how to operate it. I will stay with my old fashion watch. Ooooh la la! This sounds amazing!! Sounds like the perfect watch!!!! :) its SO cute. I'm not a big watch person, so even wearing my fitbit took some getting used to! Wow, this sounds really neat! I didn't think I would want one, but now you have convinced me to look into it! I love the way it looks and that you can change the bands! You know I've heard so many people talk about having the apple watch or wanting the apple watch and until now I didn't really know what it was - thanks for sharing! Oh I love the rose gold! My friend received an Apple watch for Christmas as well and after seeing it and hearing all about it, I would totally purchase one! Great review Biana! I've been stuck on the fence about getting one, but I now know I need one! This is a really good review Biana. Thank you! I really didn't think it was something I had to have, but seeing your real world use and love for it makes me want one!! Thanks for sharing your thoughts. Awesome watch plus it is soooo pretty and in rose quartz. I love it. Ahhh I don't know anyone who has one and have been wondering about this!! So interesting, now I'm considering it more! Ok that fitness app looks great! I might just have to get one, it looks so useful! Thanks for sharing! i have seen this, but haven't heard a review yet, so thank you for this!! i love that you can change out the bands, too. they've thought of practically everything! It sure is pretty!!!!! I love the rose gold. That public transportation app is genius. If I was a commuter, you would have sold me with that feature alone. I don't normally wear a watch but I like the fitness aspect of it. How hard is it to type messages, or do you just speak to text? 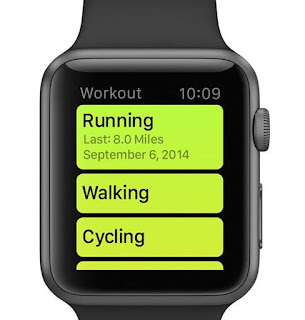 I've been really wanting a fitness watch and I always wondered what was so special about an Apple Watch! So good to know! How far away does your phone have to be to still be able to connect to it for taking phone calls or text messages?